A bighorn sheep eating grass in Jasper National Park, Alberta, Canada, North America. 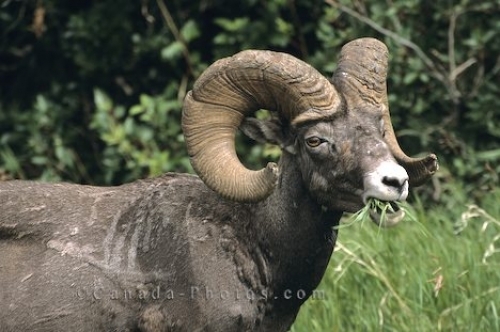 Bighorn Sheep, Jasper National Park, Alberta, Canada, North America. Photo of a bighorn sheep amidst the lush green grass of Jasper National Park, Alberta, Canada, North America.